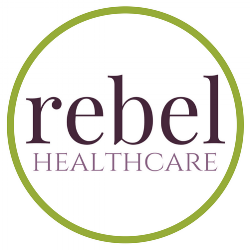 Thank you for choosing to be a part of our community at Rebel Healthcare, PLLC (“Company”, “we”, “us”, or “our”). We are committed to protecting your personal information and your right to privacy. If you have any questions or concerns about our policy or practices with regards to your personal information, please contact us at privacy@drkirstenharrison.com. We collect personal information that you voluntarily provide to us when expressing an interest in obtaining information about us or our products and services, participating in activities on the Sites, or otherwise contacting us. Payment Data. We collect data necessary to process your payment if you make purchases, such as your payment instrument number (ie: credit card number or account number), and the security code associated with your payment instrument. All payment data is stored by our payment processor. You should review its privacy policies and contact the payment processor directly if you have any questions regarding storage of your payment information. All personal information that you provide to us must be true, complete, and accurate, and you must notify us of any changes to such personal information. In Short: Some information, such as IP address and/or browser and device characteristics, is collected automatically when you visit our Sites. We automatically collect certain information when you visit or navigate the Sites. This information does not reveal your specific identity (like your name or contact information) but may include device and usage information such as your IP address, browser and device characteristics, operating system, language preferences, referring URLs, device name, country, location, information about how and when you use our sites, and other technical information. This information is needed primarily to maintain the security and operation of our Sites, and for our internal analytics and reporting purposes. We may obtain information about you from other sources, such as public databases, joint marketing partners, and other third parties. Examples of the information we receive from other sources include: social media profile information; marketing leads; and search results and links, including paid listings (such as sponsored links). In Short: We process your information for purposes based on legitimate business interests, the fulfillment of our contract with you, compliance with our legal obligations, and/ or your consent. We use personal information collected via our Sites for a variety of business purposes described below. We process your personal information for these purposes in reliance on our legitimate business interests, in order to enter into or perform a contract with you with your consent, and/or for compliance with our legal obligations. We indicate the specific processing grounds we rely on next to each purpose listed below. To send you marketing and promotional communications. We and or our third party marketing Partners may use the personal information you sent to us for our marketing purposes, if this is in accordance with your marketing preferences. you can opt out of our marketing emails at any time (see “WHAT ARE YOUR PRIVACY RIGHTS?” below). To fulfill and manage your orders. We may use your information to fulfill and manage your orders, payments, returnS, and exchanges made through the Sites. To post testimonials. We post testimonials on our sites that may contain personal information. Prior to posting a testimonial, we will obtain your consent to use your name and testimonial. If you wish to update or delete your testimonial, please contact us at privacy@drkirstenharrison.com and be sure to include your name, testimonial location, and contact information. To deliver targeted advertising to you. We may use your information to develop and display content and advertising (and work with third parties who do so) tailored to your interests and/or location, and to measure its effectiveness. To request feedback. We may use your information to request feedback and to contact you about your use of our Sites. To protect our sites. We may use your information to request feedback and to contact you about your use of our Sites. To enforce our terms, conditions, and policies. To respond to legal request and prevent harm. If we receive a subpoena or other legal request, we may need to inspect the data we hold to determine how to respond. For other business purposes. We may use your information for other business purposes such as data analysis, identifying usage trends, determining the effectiveness of our promotional campaigns, and evaluating and improving our sites, products, services, marketing, and your experience. In Short: We only share information (with your consent) to comply with laws, to protect your rights, or to fulfill business obligations. Consent: We may process your data if you have given a specific consent to use your personal information for a specific purpose. Legitimate Interests: We may process your data when it is reasonably necessary to achieve our legitimate business interest. Legal Obligations: We may disclose your information where we are legally required to do so in order to comply with applicable law, governmental request, a judicial proceeding, court order, or legal process such as in response to a court order or a subpoena (including in response to public authorities to meet National Security or law enforcement requirements). Vital Interests: We may disclose your information where we believe it is necessary to investigate, prevent, or take action regarding potential violations of our policies, suspected fraud, situations involving potential threats to the safety of any person, and illegal activities; or as evidence in litigation in which we are involved. Vendors, Consultants, and other Third-Party Service Providers. We may share your data with third-party vendors, service providers, contractors, or agents who perform services for us or on our behalf and require access to such information to do that work. Examples include: payment processing, data analysis, email delivery, hosting services, customer service, and marketing efforts. We may allow selected third parties to use tracking technology on the Sites, which will enable them to collect data about how you interact with the Sites over time. This information may be used to, among other things, analyze and track data, determine the popularity of certain content, and better understand online activity. Unless described in this policy, we do not share, sell, rent, or trade any of your information with third parties for their promotional purposes. We only share and disclose your information with the following third parties. We have categorized each party so you may easily understand the purpose of our data collection in the processing practices. If we have processed your data based on your consent and you wish to revoke your consent, please contact us. We have implemented appropriate technical and organizational security measures designed to protect the security of any personal information we process. However, please remember that we cannot guarantee that the internet itself is 100% secure. Although we will do our best to protect your personal information, transmission of personal information to and from our Sites is at your own risk. You should only access these services within a secure environment. In Short: We do not knowingly collect data from, or market to, children under 18 years of age. We do not knowingly solicit data from, or market to, children under 18 years of age. By using the Sites, you represent that you are at least 18 or that you are the parent or guardian of such a minor and consent to such minor dependent’s use of the Sites. If we learn that personal information from users under 18 years of age has been collected, we will deactivate the account and take reasonable measures to promptly delete such data from our records. If you become aware of any data we have collected from children under age 18, please contact us at privacy@drkirstenharrison.com. California Civil Code, Section 1798.83, also known as the “Shine the Light” law, permits our users who are California residents to request an obtain from us, once a year and free of charge, information about categories of personal information (if any) we disclosed to third parties for direct marketing purposes, and the names and addresses of all third parties with which we shared personal information in the immediately preceding calendar year. If you are a California resident and would like to make such a request, please submit your request to us in writing using the contact information below.